19 April 2009: The Philippine government should investigate alleged "death squads" responsible for hundreds of targeted killings in Davao City and other cities on the southeastern island of Mindanao, the New York-based NGO Human Rights Watch said in a report released this month. The report, You Can Die Any Time: Death Squad Killings in Mindanao, details the involvement of police and local government officials in targeted killings of alleged drug dealers and petty criminals, street children, and others, and describes the lack of any effort by the authorities to investigate the killings and bring those responsible to justice. "The hundreds of targeted killings in Davao City in recent years are clearly not random events but the result of planned hits by a ‘death squad' that involves police officers and local officials," said Kenneth Roth, executive director of Human Rights Watch. "The police consistently fail to bring the perpetrators to justice, while the local government cheers from the sidelines." The report includes descriptions by persons with insider knowledge of the make-up, structure and operation of the so-called Davao Death Squad. Human Rights Watch investigated 28 cases of apparently targeted killings, conducting more than 50 interviews with victims' families, witnesses, lawyers, journalists, human rights advocates, and government officials in Davao City, General Santos City, and Digos City. The number of victims of targeted killings in Davao City has steadily increased in the past decade. From two reported cases in 1998, the number rose to 98 in 2003, and 124 in 2008. In 2009, 33 targeted killings were reported in January of this year alone. On March 30 and 31, 2009, the Commission on Human Rights held the first-ever public hearing on death squads in Davao City. Human Rights Watch found a pattern to the killings. The assailants usually arrive in twos or threes on a motorcycle without a license plate; they wear baseball caps and buttoned shirts or jackets, apparently to conceal their weapons, and they shoot or stab their victim without warning, often in broad daylight with little regard for those witnessing the crime. Barangay (local-level) officials, police officers and sometimes even city government officials have frequently warned people who subsequently became victims of these killings that their names were on a "list" of people to be killed unless they stopped engaging in criminal activities. In other cases, the victims were killed immediately after their release from police custody or prison. According to Davao Death Squad "insiders," most members are either former communist New People's Army insurgents or young men who themselves were death squad targets and who joined the group to avoid being killed. Their handlers, usually policemen or former policemen, provide them with training, weapons and ammunition, motorcycles, and information about the targets, these people said. Death squad members often use .45-caliber handguns, a weapon commonly used by the police but prohibitively expensive for gang members and common criminals. Insiders told Human Rights Watch that handlers obtain information about their targets from the police or barangay officials, who compile lists of those engaged in criminal activities. The insiders explained that local police stations are notified in advance to ensure that police officers are slow to respond to such killings. Witnesses told Human Rights Watch that the police arrive at the scene long after the assailants leave, even if the nearest police station is minutes away. Police often fail to collect obvious evidence such as spent bullet casings, or to question witnesses or suspects, but instead pressure the families of victims to identify the killers. "As quickly as the assassins arrive to kill their targets, they ride off - but almost always before the police appear," said Roth. "And the police rarely seem interested in collecting evidence to hold perpetrators accountable." Families that provided information to the police, such as names of potential suspects and witnesses, said the police either failed to follow up on such leads or have not informed the family if they have done so. In many cases, witnesses are also afraid to come forward with information, as they believe they could become targets by doing so. While police blame the lack of successful investigations on a lack of witnesses, Human Rights Watch said police or other institutions should create credible protection mechanisms so witnesses will report death squad killings to the authorities. But no protection mechanism can be fully successful so long as police are involved in the killings. Human Rights Watch also investigated a number of cases in which those killed were seemingly unintended targets, including victims of mistaken identity. Some Davao City residents also expressed the belief that some death squad members have become guns-for-hire, making everyone a potential target. The longtime mayor of Davao City, Rodrigo Duterte, has made numerous statements attempting to justify the killing of suspected criminals, believing that such killings have a deterrent effect on crime and have made the city a safer place. But according to statistics provided by the Philippines National Police, the number of annual crime incidents has increased some 219 per cent in the last decade, while the city's population rose only by 29 per cent. An increasing number of death squad killings appear to have made crime rates worse in Davao. In February 2009, Duterte told reporters, "If you are doing an illegal activity in my city, if you are a criminal or part of a syndicate that preys on the innocent people of the city, for as long as I am the mayor, you are a legitimate target of assassination." 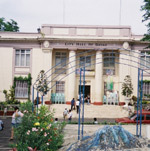 In recent years, reports of targeted killings have expanded beyond Davao City to other cities in Mindanao, and to Cebu City, the Philippines' second-largest metropolis. Mayors and city officials in several of these cities have made statements similar to Duterte's, justifying killings in their own cities. The administration of President Gloria Macapagal Arroyo has largely ignored the targeted killings in Davao City and elsewhere. In fact, in 2003, Duterte became Arroyo's consultant on peace and order, indicating her approval of his "tough on crime" approach that encourages violations of law. 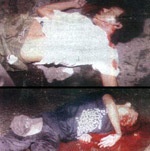 The inaction of the national institutions responsible for accountability, namely the Department of Justice, the Philippine National Police, the Ombudsman's Office, and, until recently, the Commission on Human Rights, have apparently led those carrying out the killings to conclude that they will suffer no penalty for their actions. Human Rights Watch said the Philippine government and local authorities in Davao City and other cities should urgently take measures to stop the killings, hold perpetrators accountable, and bring justice to the victims' families. Human Rights Watch called on the Philippine government to publicly denounce extrajudicial killings and local anti-crime campaigns that promote or encourage the unlawful use of force, and to take all necessary action to end the extrajudicial killing of suspected criminals and street children, beginning in Davao City. "Arroyo has been taking security advice from someone who openly advocates murder to bring peace and prosperity," said Roth. "But this needs to stop. The Arroyo government should send a clear message to local officials and the police that the killings of petty criminals, drug users, and street children will not be tolerated." "We didn't go to the police to inquire about the case, because we had a strong suspicion that the people who killed my [relative] were either policemen themselves or well-known to the police. A wife of an officer from the Fermin Lira police camp told me some 10 days after the killing that this murder caused some trouble in the police - they called a meeting where they discussed that it was a mistake and that they felt sorry." - Human Rights Watch interview with a relative of Gabriel Sintasas, killed in General Santos City in March 2008, believed to be a victim of mistaken identity. "Nobody said anything, because they were all afraid. The police asked who the victim was, and laughed as if they liked what they saw. They didn't talk to any of the witnesses. And then they left, leaving behind the body and empty shells. They didn't do anything. They didn't seem to care about any evidence." - Human Rights Watch interview with a friend of Conrad Dequina, killed in Davao City on 10 October 2007. "I went into the house, and when I came back into the yard some time later, I saw Danilo face-to-face with a gunman. The gunman had dark skin and long hair, and was wearing basketball shorts and a loose T-shirt. I saw his companion on a motorcycle parked a couple of meters away - it was a black XRM motorcycle, and the driver was wearing a military hat. "The gunman, who had a pistol in his hand, was asking Danilo about some other man, Jon-Jon. I came forward and said that there was no one with such name in our block. But the gunman didn't leave. Danilo apparently sensed that something was wrong and tried to get inside the house, but at that moment the gunman shot him. He first shot him in the back, and then, when Danilo fell on the ground, the gunman kneeled next to him and shot him twice more, in the head, behind both ears. The gunman then jumped on the motorcycle that pulled by, and they drove away." - Human Rights Watch interview with relative of Danilo Auges, 38, killed on 26 May 2008, in General Santos City. "Neither of [my friends in the death squad] has education, so there aren't that many choices for them out there. They prefer this job to being involved in ordinary crime because this is the safest illegal activity that also pays well. They are not afraid, because the person who would be the one to arrest them is usually their boss, and the rest is coordinated with the police." - Human Rights Watch interview with "Anthony" (pseudonym) on his four friends who are members of the Davao Death Squad. The world’s poor are the worst affected by urban crime and violence, insecurity of tenure and forced eviction, and natural and human-made disasters, regardless of their geographical location. “Over the past decade the world has witnessed growing threats to the safety and security of cities and towns. Some have come in the form of catastrophic events, while others have been manifestations of poverty and inequality or of rapid and chaotic urbanization processes,” said the UN Secretary-General, Ban Ki-moon. The UN-Habitat publication Enhancing Urban Safety and Security: Global Report on Human Settlements 2007, published in October 2007, addresses some of the most challenging threats to the safety and security of urban dwellers worldwide.